Another superb knife from Cudeman Spain. 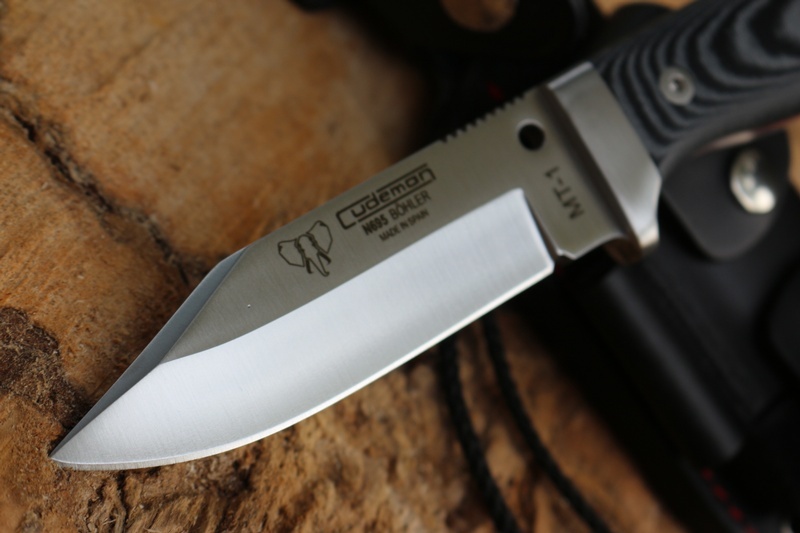 This is the MT1 survival knife, a modification of the very popualr bushcraft knife the MT5, this has a clip point, same robust full broad tang construction, with 5mm thick stock of Bohler N695 steel, thumb jimping and full stainless bolsters. The knife is well balanced and strong, with a nice choil for fine work and a fine well balanced tip. The spine is cut at 90 degs and the tang is extended for a lanyard. 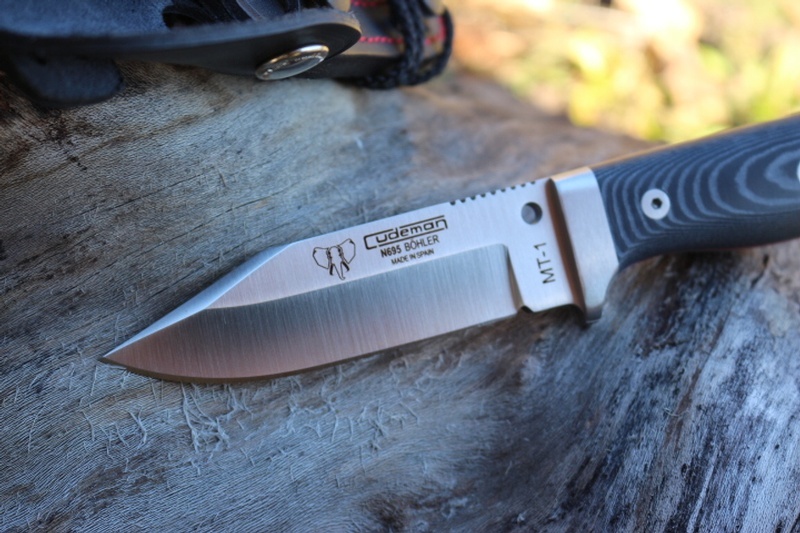 All around an excellent survival or bushcraft knife. Made in Spain, OAL 9inches, blade 5mm thick, 4 1/4inch long. 60HRC Bohler N695 steel. 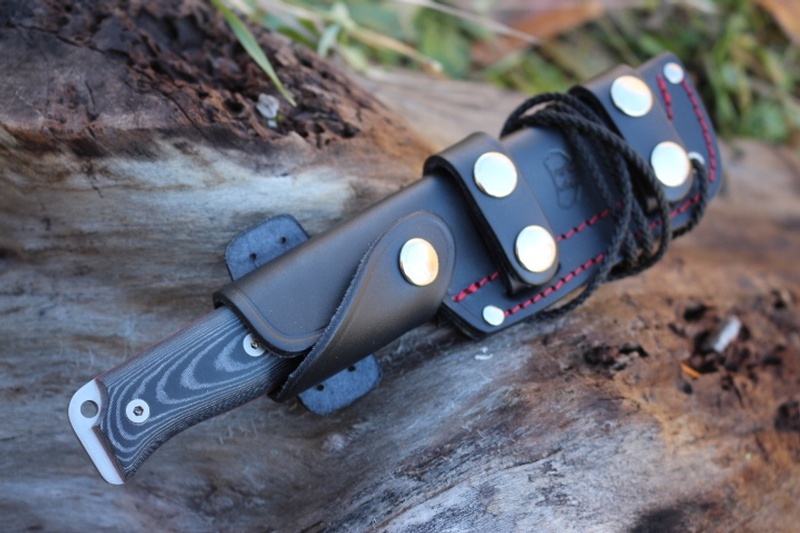 Comes with very well made leather sheath with external pouch that can mount in a variety of ways. 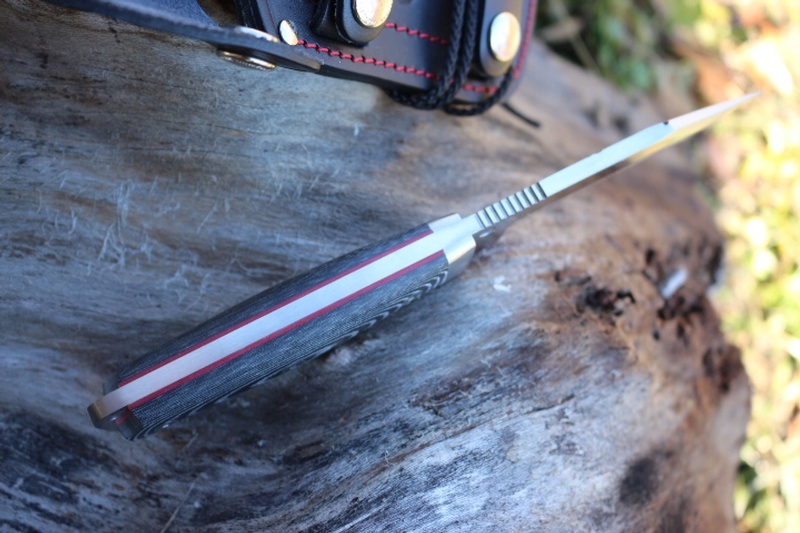 Purchase through PayPal by using the "Add To Cart" button above or use the form below to order the Cudeman MT1 Black Micarta Full Sheath . 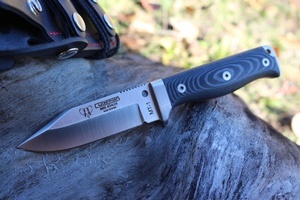 Feel free to contact us if you have any questions about the Cudeman MT1 Black Micarta Full Sheath .